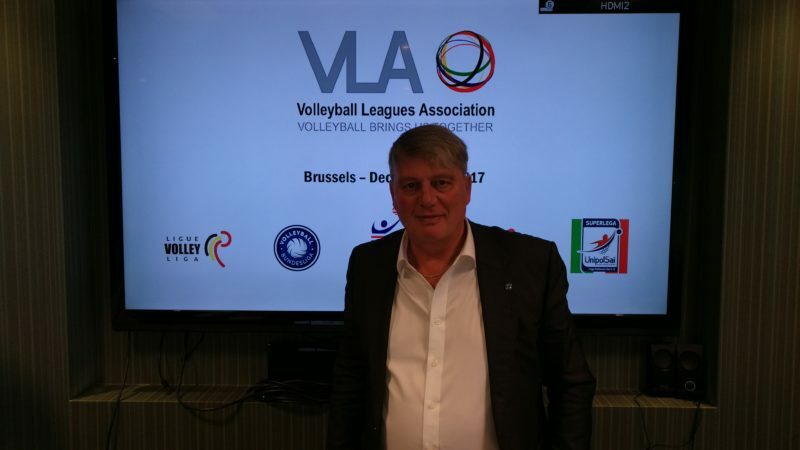 Volleyball Leagues Association moves another important step ahead with the meeting that was held on December 11 and 12, 2017, in Bruxelles. The five founders (Belgian Volleyball League, Italian Lega Pallavolo Serie A, German Volleyball Bundesliga, French Volleyball League, Polish Volleyball League) are now united under a new logo that was officially unveiled, accompanied by the payoff “Volleyball brings us together” which perfectly describe the spirit of the newborn association. The meeting was not only based on a fruitful discussion and decision about key points and goals of the non profit international organization (players contracts, calendars and players’ health, exchange of knowledge among the different Leagues) but allowed as well the participants to welcome the head of the European Commission Sport’s Unit, Yves Le Lostecque, who confirmed his interest about the activity of VLA. 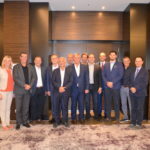 The European Commission has interests in sharing with Volleyball Leagues Association common thoughts and projects matching European politics concerning anti-racism and social inclusion campaigns, as well as sport betting matters and labour issues. 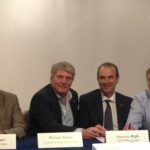 The Association has already get in contact also with the Sport Intergroup of the European Parliament, scheduling an upcoming meeting for next January. 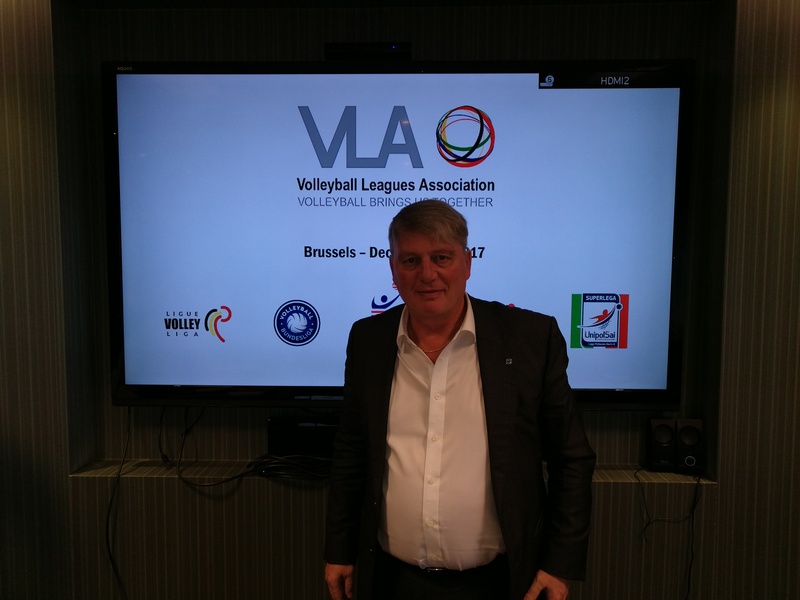 It was also announced that the Volleyball Leagues Association is now established in Bruxelles, represented by Philippe Boone (President of the Belgian Volleyball League), while the operating office is now set in Bologna, hosted by Lega Pallavolo Serie A headquarters. 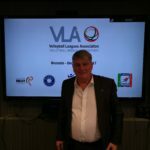 Diego Mosna (Honorary President of Serie A Italian Volleyball League) will act as VLA representative for FIVB and CEV. 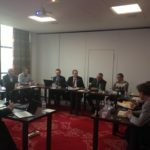 The next meeting will be hosted by French Volleyball League in March. 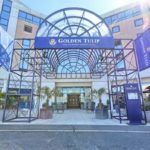 VLA is planning, moreover, a future appointment next July in Italy, where members and invited European Clubs will share expertise about organisation, marketing and communication.